Laya healthcare has embarked on a major new brand repositioning campaign, centred around a purpose-driven theme “It’s good to live”. 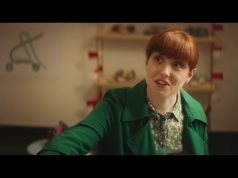 Created by TBWA\Dublin, the €2.5m integrated campaign is laya healthcare’s biggest in five years, and strives to evolve the brand to win hearts and minds as a real health partner, not just a health insurer. The multi-platform campaign will focus on “building a more emotional connection with our members, showing why it’s so good to live for the moment, embrace life, its freedoms and all the imperfections that come with it”, says Lorraine Walsh, head of marketing at laya healthcare. “This new campaign represents a major step-change for us as a brand. For years, we occupied a comfortable space similar to other insurers, where we communicated how we would look after people when they were sick, about 3% of their lives. However, the reality is that people are well 97% of the time, and they need our help and encouragement to empower them to be healthy and stay healthy. “We want to move the conversation with our members ‘from fear to freedom’, giving them the support and tools they need not just for a healthier life, but a better life. We want them to experience what it feels like to be alive, and to embrace the fun and playful side of life. We want our members to start reappraising laya healthcare, and look on us as more than just an insurer, but as a partner for health, wellbeing, travel and life insurance. We’re so proud of this new campaign, and are excited about this major new brand journey we’re about to take that will open up new conversations and experiences with our 580,000 members.”, Walsh added. Central to the campaign is an energetic and playful 40’ TV creative, shot in Croatia, that captures people embracing the child-like joy and fun of rolling down a steep grassy hill. The radio execution delivers on the campaign’s ‘It’s good to live’ philosophy in a highly unusual and memorable way; the voice-over artist was recorded as she physically rolled down a hill in Phoenix Park, while the ‘terms and conditions guy’ did the same, bringing a refreshing, light-hearted tone to the radio scripts. Carat Ireland planned the heavyweight new campaign, which will across TV, radio, digital, OOH, video-led social media, display and PR. Mixed length TV formats will be cut to 20/30/40 lengths, with shorter edits created by TBWA\Dublin specially shot for a digital campaign across Facebook, YouTube, Instagram and Twitter. In addition, a brand experiential campaign, led by PML, will feature a series of fun hopscotch decals pop up on the streets of Dublin, encouraging passers-by to jump in and experience how ‘It’s good to live’. 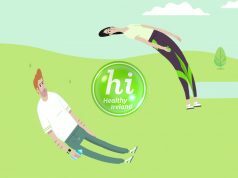 The new campaign marks a radically new philosophy and brand language for laya healthcare, underpinning a new strategic reset in the business aimed at empowering the member to look after their health and wellbeing so they can be at their very best, always.